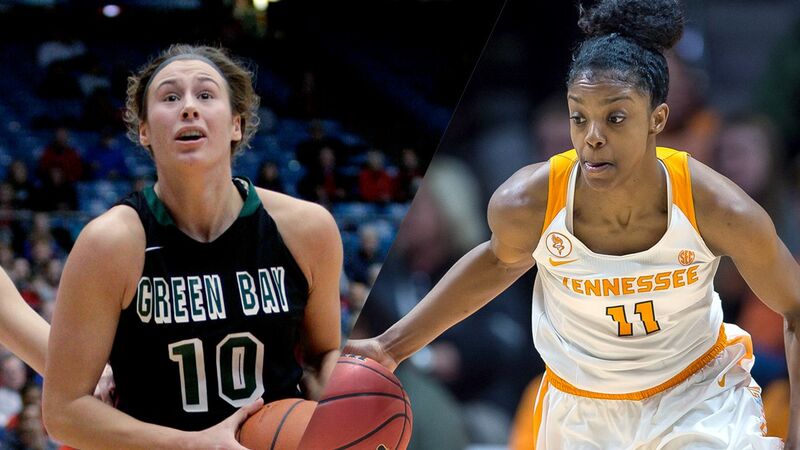 Wis.-Green Bay-Tennessee Preview - Women's College Basketball - Are You Watching This?! (AP) - Tennessee heads into the NCAA Tournament embracing its unfamiliar role as a potential underdog. No longer is Tennessee mentioned with the reverence of an elite program alongside the likes of UConn, Notre Dame, South Carolina and Baylor, all top seeds. Instead, after a disappointing regular season, Tennessee is seeded seventh in the Sioux Falls Regional - the Lady Volunteers' lowest seed ever. This is just the third time in the last 30 seasons Tennessee hasn't entered the tournament as a No. 1 or No. 2 seed. That means Tennessee doesn't get to stay home for the first weekend of the tournament, a perk for the top 16 overall seeds. After setting a school single-season record for losses, the Lady Vols (19-13) face No. 10 seed Green Bay (28-4) in the opening round Friday at Tempe, Arizona, nearly 1,900 miles from Tennessee's campus. Tennessee coach Holly Warlick took a glass-half-full approach to the challenging trip. This is an unusual and somewhat embarrassing situation for a program that has won eight national titles, though Tennessee hasn't reached the Final Four since its 2008 championship season. Tennessee was ranked fourth at the start of the season but struggled with consistency and fell out of the rankings last month, ending a string of 565 consecutive weeks in the Top 25. Tennessee hadn't been unranked since February 1985. The Lady Vols are on pace for their lowest scoring average (65.1) and field-goal percentage (.403) since former coach Pat Summitt took over the program in 1974. In two of its last three regular-season games, Tennessee lost to an LSU team that finished 10-21 and an Alabama program that hadn't beaten the Lady Vols since 1984. Add that all together and a seventh seed doesn't look so bad. But the Lady Vols still have reason for hope. DeShields has been erratic in her first season at Tennessee and went scoreless in two of her final four regular-season games. But the North Carolina transfer averaged 19.6 points per game in the Southeastern Conference Tournament. Tennessee beat Texas A&M and reached the SEC semifinals - coincidentally as a No. 7 seed - before its problems on offense resurfaced in a loss to Mississippi State. The inconsistency should give Green Bay a little added confidence. The question is how a Lady Vols team that won at Oregon State and trounced NCAA Tournament participants Georgia and Auburn could also play poorly enough to lose consecutive games to LSU and Alabama. The Phoenix coasted to a 64-32 win over Milwaukee on Sunday for their 14th Horizon League Tournament title and 16th NCAA Tournament appearance. Tesha Buck and Jessica Lindstrom totaled 27 points for Green Bay, which didn't play anyone more than 31 minutes. The Phoenix are making their seventh trip to the NCAAs in the past eight seasons. They've won at least a game in three of their last five tournament appearances. The teams have met once, with Tennessee winning 71-36 at home Nov. 26, 1996. The Lady Vols are 4-0 all-time against the Horizon League.